"Welcome to the Sawdust Factory!" 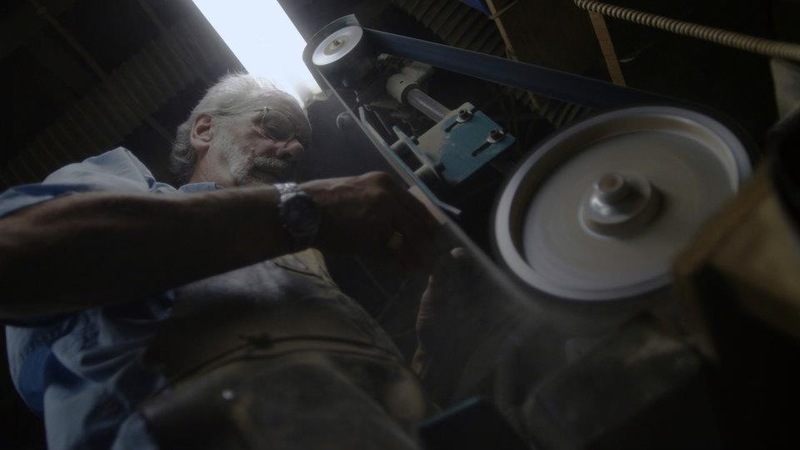 Get a real LIVE tour of Lee’s workshop; watch him creating his signature pipes in real time! Get a real LIVE tour of Lee’s workshop; watch him working the trade! Click here to access the live-streaming chat page. Hand crafted, one at a time in Negaunee Township, Michigan, the custom tobacco smoking pipes of Lee Erck’s artisan crafting have been demanding attention throughout the Pipe Smoking Community worldwide. In 2013, Lee was awarded the prestigious industry Doctor of Pipes award (link). Read more about the Doctor of Pipes award at Pipes and Tobaccos Magazine’s website by clicking here. Lee has his own entry on Pipedia (link) as well. The sudden external interest in these pipes is a bit unexpected as their past market base has been targeted predominately at mid-America. Lee has been making pipes for just 30 years. 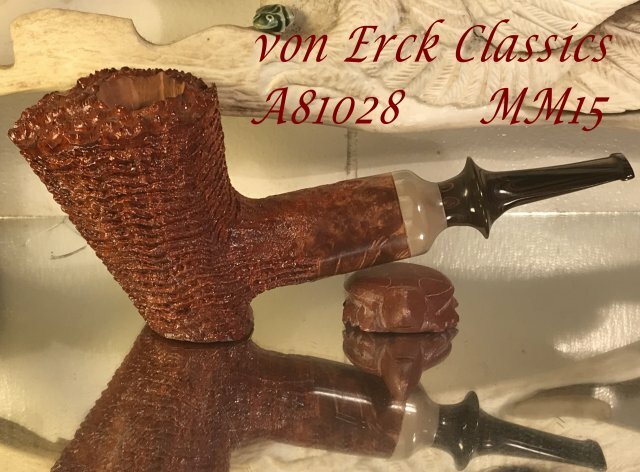 Pipe Smoking aficionados have claimed that the von Erck Classic Pipes have experienced sudden popularity largely due to their unique design, careful craftsmanship, and smooth smokeability. 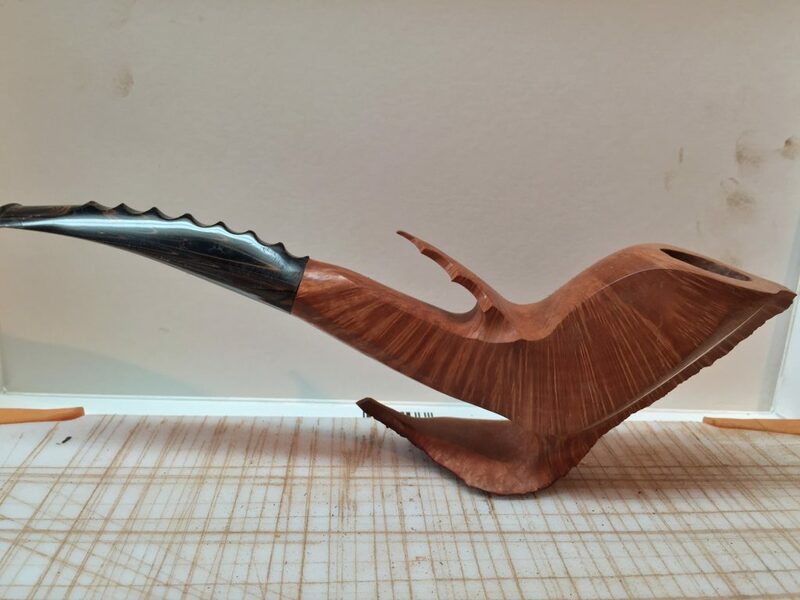 When he creates a pipe, he strives for one that is eye-catching, expresses the natural grain in the briar, feels good in the hand, and above all, smokes well. This is “the pipe with the worry stone effect”, quoted Dennis Hills, Riegels, Fort Wayne, IN. Each pipe created is a one-of-a-kind piece, being developed, based on the character of the briar itself. The personality of each particular piece of briar is what dictates to the craftsman, how each piece will develop, and become that truly one-of-a-kind pipe. 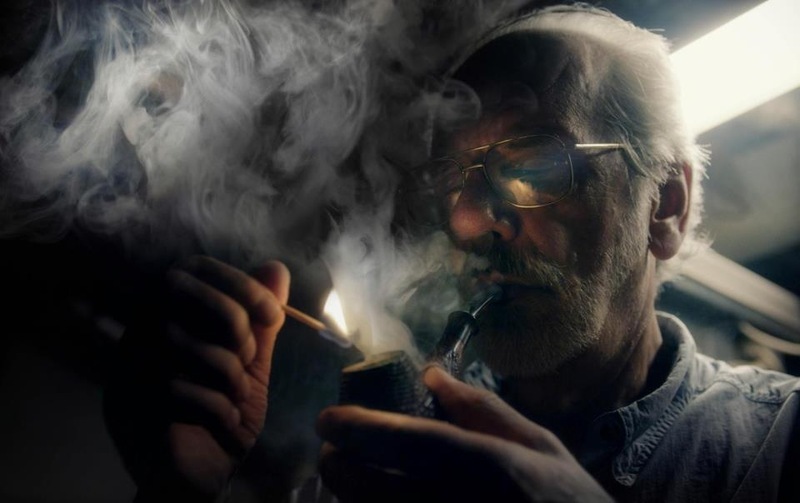 Lee himself believes that his pipes appeal to smokers because he himself has been smoking pipes for 50 plus years and he personally knows what appeals to the dedicated pipesmoker. There is more to pipe smoking than simple hobby. A beautiful film project known as Father the Flame (link) has set out to honor the essence of and shed light on the age old tradition. Lee von Erck has been featured in news articles from over the years, and gets interviewed from time to time. Here is a link to one such article from late last year, thanks to Interlochen, Michigan’s NPR radio station (link). 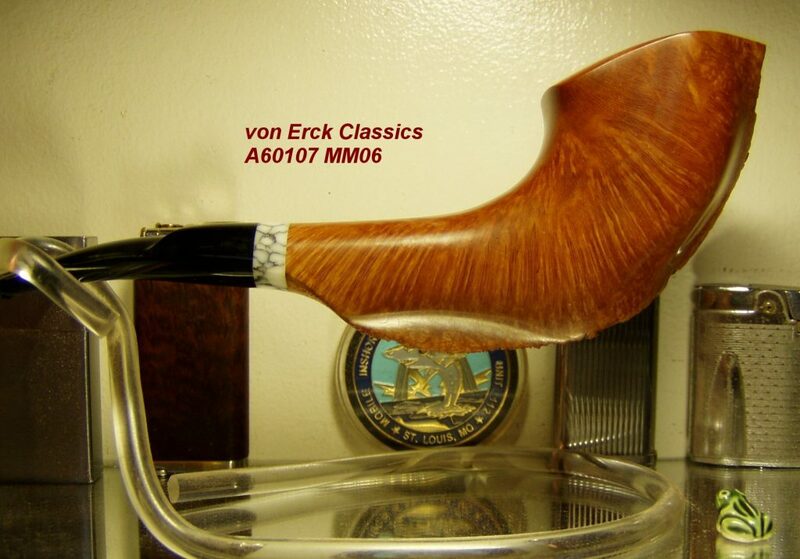 The von Erck Classic is a bit out of the ordinary. Boring, shaping, and polishing of the pipes is done in a small shop in the Northwoods of Michigan. The pipes are then put through a lengthy oil-curing and drying process before they are returned for crafting of a bit for each pipe. Decades ago, Lee developed a secret oil curing method to remove the tannins and other impurities from the briar. That makes his pipes sweet smoking right from the first bowl. He started selling his pipes in the Midwest at pipe shows and through retailers. Then he expanded throughout North America. For many years now, he also been attending shows and supplying retailers in Asia and Europe, where he usually sells out at shows and comes home with several special orders to fulfill. Lee has sold his pipes in Denmark, Italy, Russia, Hong Kong, Singapore, Japan, and points in between. The bit for each pipe is as unique and individual as that of the pipe it is created for. The final step in the lengthy process is to assign and stamp each pipe with it’s own individual Serial number and nomenclature. The von Erck pipes are being found in collections of many prominent collectors and are prized for their exceptional craftsmanship and smokeability.